Toronto Rock all-time leading scorer Colin Doyle is close to making a return to the lineup and will likely play in one of the team’s final two regular season games. Doyle tore his rotator cuff last summer and required surgery to repair the tear. The recovery timeline was originally thought to be long enough that the 17-year NLL veteran would miss the entire 2015 NLL season. 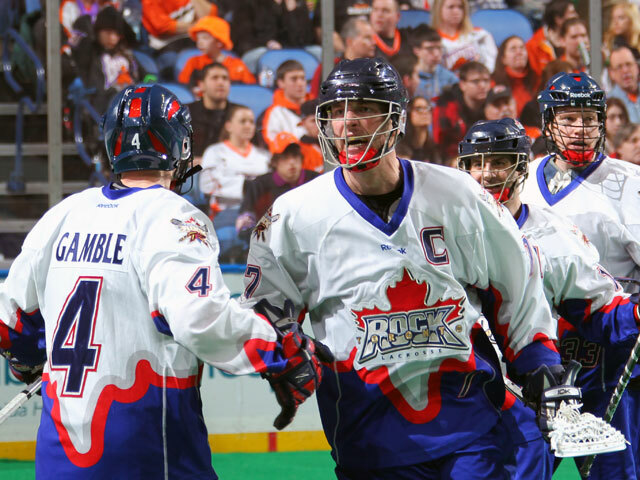 Doyle could play the first game of his 18th NLL season as early as this Friday night when the Rock host the New England Black Wolves at Air Canada Centre. Doyle will practice with the team on Tuesday night at the Toronto Rock Athletic Centre in Oakville and be evaluated by the Rock medical staff over the following days in order to determine if he’s ready to play this weekend. The Rock still have a chance to claim the number one spot in the East Division. They need some help from an opponent or possibly two of the Rochester Knighthawks depending on the results of the Rock’s final two regular season games. Rochester (10-4) and Toronto (12-4) have each lost four games and the Knighthawks hold the tiebreaker should the two teams finish with identical records at the end of the 18-game regular season.